Of paramount importance, the company stressed, is Uber’s search for a chief operating officer to help Mr. Kalanick. 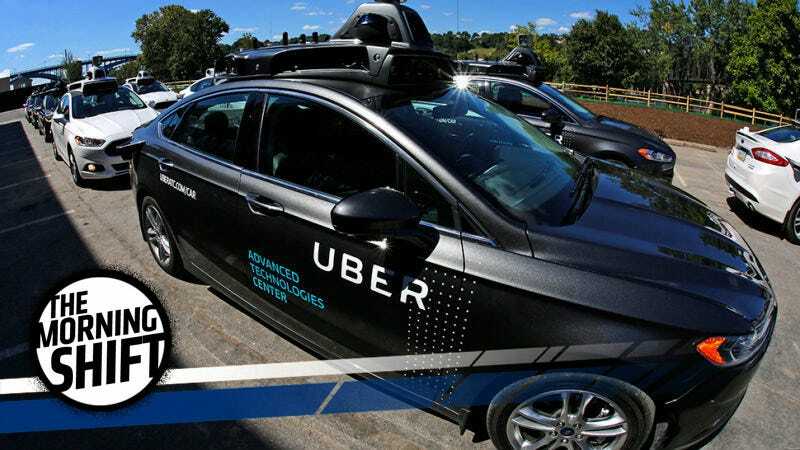 In addition, Uber is overhauling its human resources department, improving its relationships with drivers, and soliciting feedback from concerned employees. The company also plans to release a report on the diversity of its work force this month, and will conclude an investigation into its workplace culture by the end of April. It might be simply a business decision to stay with Kalanick, even if he’s the leader of a company that’s accused of fostering an environment of sexual harassment. Recode reports that Uber received more ride requests in the U.S. last week than ever before. That’d mark quite a (quiet) turnaround. Anyway, Kalanick wasn’t on the call, as he was helping conduct COO interviews. But the unstated point here is that, with the support of Huffington, it’d take an even more extraordinary circumstance for Kalanick’s ouster. Kalanick supporters reportedly make up a majority of Uber’s board of directors, so a scenario that ends with Kalanick’s exist seems unlikely. But who knows, when you’re running a company that’s at the center of an explosive intellectual property lawsuit involving self-driving car designs, I guess anything’s possible. It’s another day, so that means fresh Dieselgate news. Apparently British lawmakers aren’t exactly jazzed with answers previously given by the German automaker over the never-ending-and-no-it’ll-probably-never-end-really diesel emissions scandal. Reuters says that VW’s British chief, Paul Willis, has spoken before numerous parliamentary committees since the fall of 2015, but it just hasn’t been enough. Around 1.2 million cars are affected by the scandal in Britain with fewer than half repaired so far, prompting anger from politicians and drivers who argue it is unfair that they have not received compensation offered to U.S. motorists. It’s not all about VW these days, though. Fiat Chrysler—which, by the way, are you interested in buying?— has warned shareholders of potential fines in the U.S. over an alleged diesel emission cheat. But now the automaker’s the subject of a separate probe across the globe, reports Reuters. Citing an unnamed judicial source, Reuters says a prosecutor in Paris opened an investigation into “aggravated cheating,” following a referral from the country’s finance ministry. A Fiat spokesperson told Reuters that its vehicles comply with emissions standards and that it planned to cooperate with authorities. That’s the official line in the U.S., as well, where FCA’s accused of putting a defeat device on 104,000 vehicles. The company sounded confident at the time news broke of the alleged Clean Air Act violations. “FCA US intends to work with the incoming administration,” the company said. Now look, there might not even be an EPA left to fully-investigate the claims here. Convenient. The U.S. is barreling toward a protectionist crouch on trade under President Donald Trump’s administration, but that’s not stopping the European Union and Japan from forging ahead on crafting a deal of their own. Not at all. The EU has insisted that Japan remove tariffs on European foods such as chocolate, pasta, tomato paste and cheese, scale back non-tariff barriers for cars and open up public procurement in the rail industry. In exchange, the bloc has been prepared to phase out its 10 percent tariff on autos from Japan and ease access to Europe for Japanese executives. The EU has also said it would refrain from demanding duty-free access to the Japanese market for “sensitive” farm goods such as rice, beef and pork. We’ve talked plenty about the impact Trump’s proposed trade policies could have on the auto industry, and now it’s clear he’s fomenting a desire to orchestrate deals elsewhere. Maybe we’re nearing the end of globalism. Ally Financial recently said that profit’s going to diminish in 2017, thanks to aggressive loans and steep discounts, and that forecast looks to be pretty damn accurate, according to Bloomberg. Why buy used when the new car deals are so good? Earnings may increase as little as 5 percent this year, Ally said Tuesday, after CEO Jeffrey Brown in January predicted growth “shy of 15 percent but still very solid.” The caution raised by the company dragged on shares of rental companies and auto dealer groups including Hertz Global Holdings Inc. and AutoNation Inc.
Concern is mounting over falling used-car values dragging on lenders including Ford Motor Co.’s financial-services unit. Consumers have turned to leasing more than ever to lower their monthly payments on new vehicles that have been selling at record high prices in the U.S. Surging numbers of vehicles coming off leases is fueling a supply glut and dragging down prices. Ally’s projection for earnings-per-share growth in the range of 5 to 15 percent this year compares with an 8 percent increase for 2016. Neutral: Is All This Fuss About Uber Worth It? Uber’s CEO has been front-and-center throughout the company’s bevy of scandals as the source of its woes. Do you think its worth it for Uber to put up with a 40-year-old man who says he now realizes it’s time for him to “grow up”?